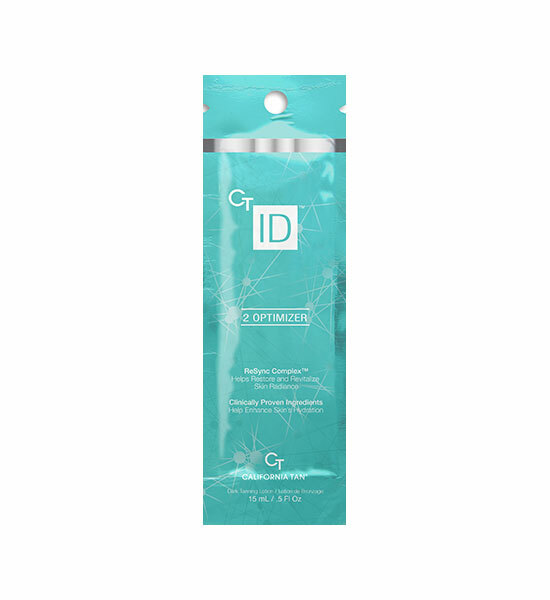 CT ID Optimizer by California Tan® is infused with ReSync Complex to help restore radiance and energy to the skin. This tanning lotion is specifically formulated with Clinically Proven Ingredients to help enhance skin s hydration, for noticeably youthful looking skin. Optimize dark color results with rich nutrients found in CT ID Optimizing Technology, CuO2® and TRF .